The Global Movement of Moderates Foundation (GMMF), founded by Prime Minister Najib Abdul Razak in 2012, will cease operations tomorrow. This was announced by GMMF executive chairperson and CEO Nasharudin Mat Isa in a statement today. No reason was stated for move, other than compliance with “directives given”. It is not certain which ministry the GMMF is parked under, nor can the size of its budget be determined. 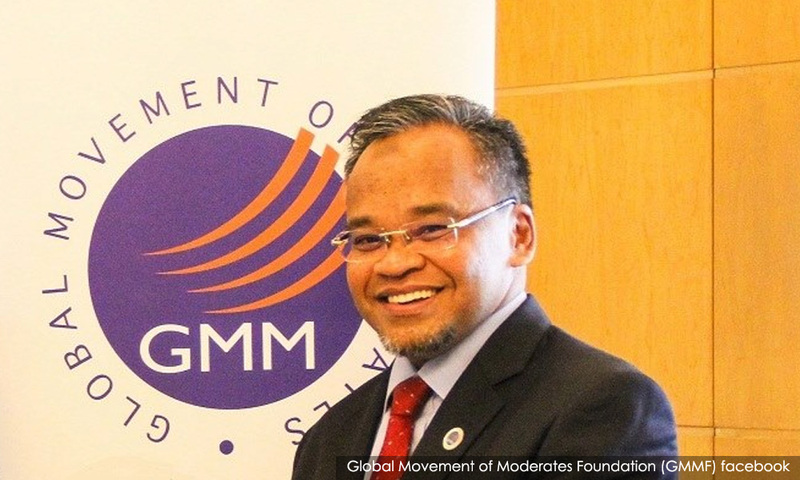 Najib established the GMMF as a platform for discussions on moderation to deal with extremism. The foundation regularly organises discussions and publishes papers. Critics such as G25 and DAP parliamentary leader Lim Kit Siang have often pointed out that the GMMF does not speak up on local issues. In April last year, PKR vice-president Rafizi Ramli accused Nasharudin - a former PAS deputy president - of receiving funds from then prime minister Najib Abdul Razak. The funds, according to Rafizi, originated from SRC International Sdn Bhd. Nasharudin has denied receiving such funds and has urged the MACC to investigate him. 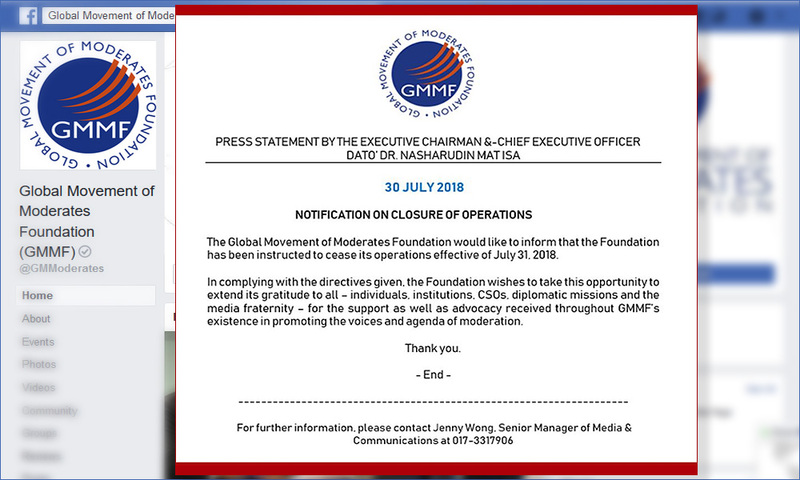 Two months ago, former GMMF CEO Saifuddin Abdullah, who is now foreign minister, had also proposed that the foundation is to be shut down, without giving any specific reasons. Najib had mooted the establishment of the GMMF in 2010 when he spoke at the UN general assembly.